Do you snore and have pain in your neck and shoulders? 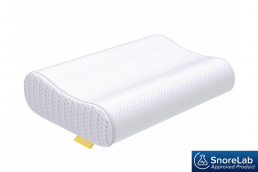 Many SnoreLab users benefit from a good-quality pillow that aligns their airways properly. 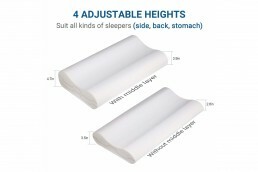 Adjustable height – the removeable memory foam middle layer permits four different height settings to get optimal comfort for your sleeping position. 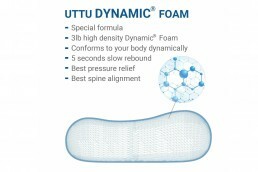 Ergonomic design – promotes proper neck, spine and airway alignment to reduce pressure on your neck and shoulders and reduce compression of your airway. 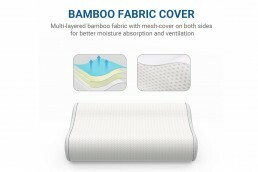 96-night 100% satisfaction guarantee – if you are not satisfied you can return the pillow for a full refund.